Fathers Day Gift ideas. Treat your Dad to something special. Do you have the best Dad in the world? Show him how much you love him with his very own personal photo gift. Maybe he likes Fishing, Fast Cars or Motorbikes? We can print these photos on to a canvas print, a mobile phone cover, cuff links or maybe just a personalised photo greeting card so he can cherish the memories forever. Keep all the great memories you and your Dad have had together alive for everyone to see! What could be better than sharing the memories of your Dad in your home displayed as a photo gift? Nothing! So get him one of our special Fathers Day gifts and let him know how special he is to you! We have put together a run down of the most popular gifts below. Is your Dad so special that you cannot decide which photo you want to get printed on canvas? No problems we have the answer in the form of a Photo Collage / Montage. A Photo Collage is simply a series of photos arranged and printed on to one canvas. We can print as many photos as you like as long as the canvas is big enough to display all the photos. Below is an example of a Montage we recently did for one lucky Dad. Does your Dad have a mobile phone that he has with him all of the time? Now he can have his phone covered with his favourite photo of you. Take a look at our example below where we have printed a photo montage on to the phone cover. 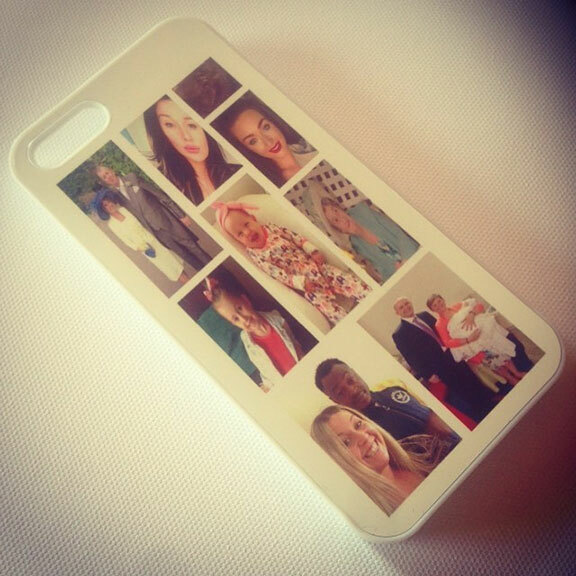 This Father's Day, treat your Dad to a customised photo phone case. Our phone cases are fantastic at protecting your Dads mobile phone and his favourite photo will look perfect on the back of the case. Prices are just £6.99 and the postage is £2.99. 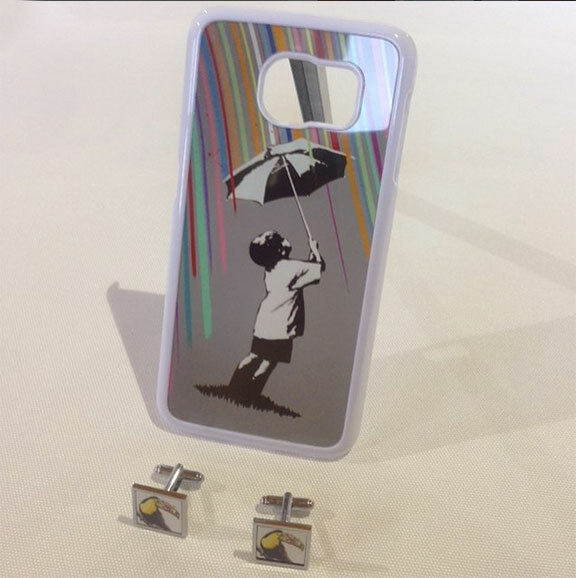 Give your Dad a combo gift this Fathers Day with our Cuff Links and Phone case deal. Priced at just £10 he will not be dissapointed with this. Have the phone case and cuff links matching or have two different designs on each gift. 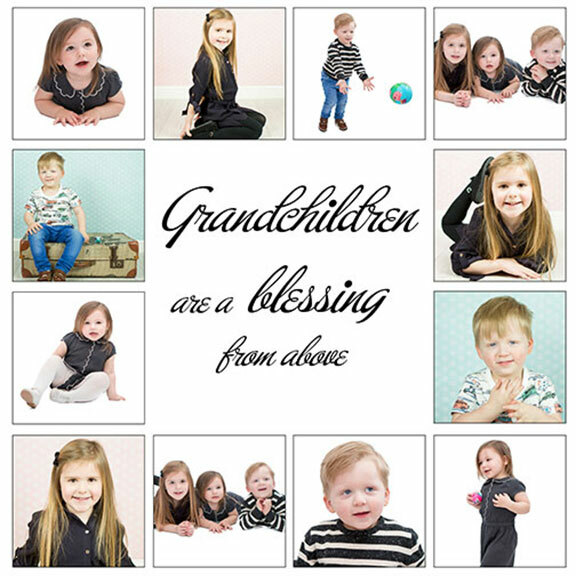 Our latest addition to our gift line is the Photo Greeting Cards. Give your Dad a customised greeting card this Fathers Day that he can cherish forever. Don't just buy a Fathers Day card from a card shop, buy one from us and have any photo printed on to the front of the card. 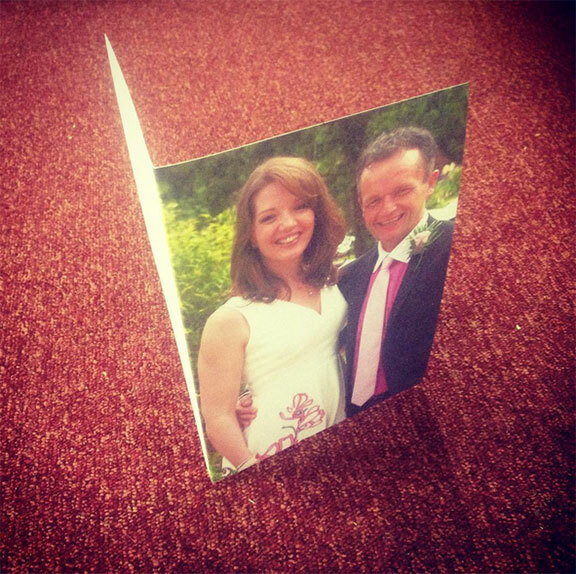 You can also customise the message on the inside of the Fathers day card making it even more personal. We hope that this page has given you some ideas for the great range of customised Fathers Day gifts that are available from Canvasdesign. We can print many more items available to order over the phone. Items such as customised Fathers Day ties, glassware, pens, mugs and many more.